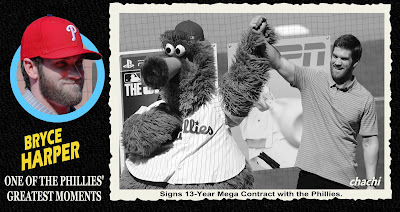 Before we get too far away from the announcement of this year's class of Hall of Fame inductees, I wanted to continue a tradition I started a few years ago and see if any of the current year class had any "Phillies" baseball cards. 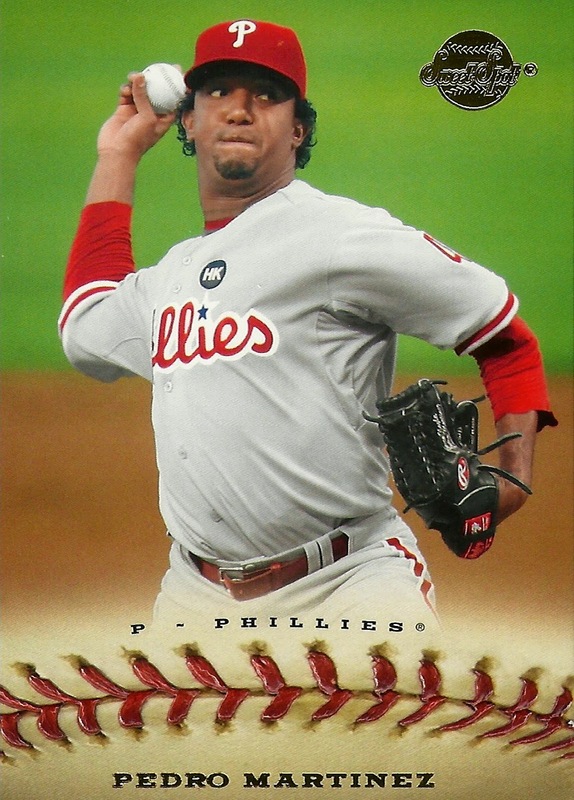 Obviously, Pedro Martinez has a number of Phillies baseball cards given the half season he played with the club in 2009. This isn't an exhaustive list, but merely a list of cards currently found within my Phillies collection. Not including this awesome 2004 Bazooka 4 on 1 Sticker which includes four pitchers with Phillies connections, I have nine different Phillies cards of Martinez. His Phillies cards started appearing mid-way through 2009 and he appeared on a few 2010 Phillies cards within the Upper Deck Season Biography insert set. I also didn't count this 2003 Fleer Tradition Update card in my tally although technically I suppose I could. I'm sure he's on many more Phillies cards, but these are the nine currently in my collection. 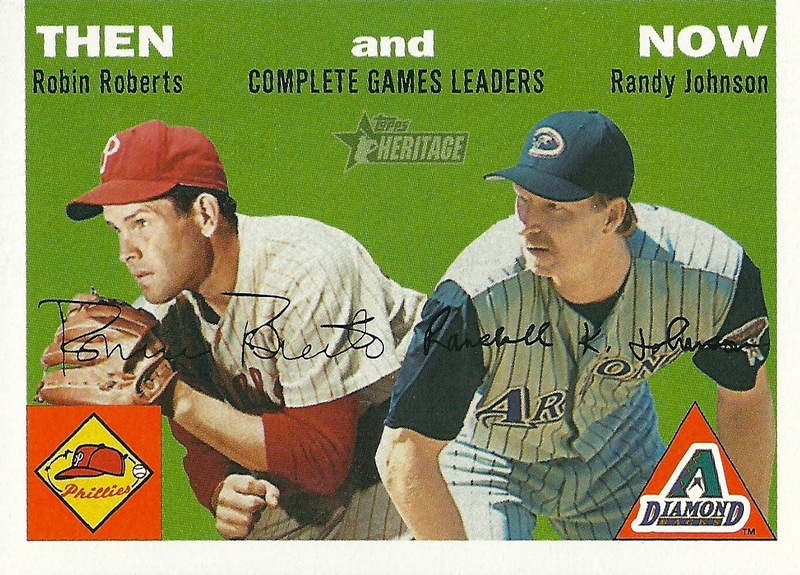 Second to Martinez in terms of number of cards in my Phillies collection is Randy Johnson. 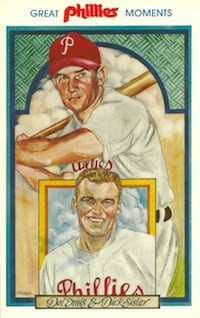 Of particular interest is the 2002 Fleer Triple Crown card featured at top of this post which includes Johnson, fellow inductee John Smotlz and potential future inductee Curt Schilling. 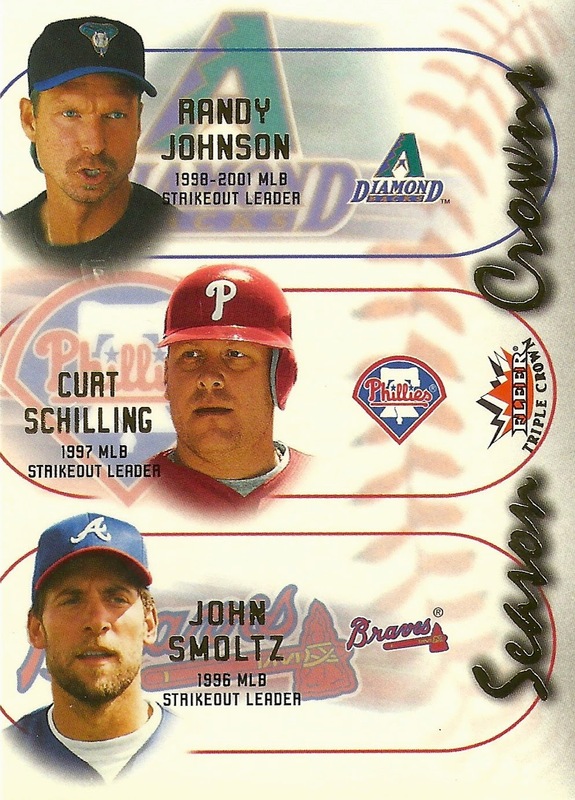 The only Smoltz card in my collection is the aforementioned Fleer Triple Crown insert card featuring him with Johnson and Schilling. I don't have any Biggio cards in my collection, although according to the Beckett database he appeared on 11 multi-player Upper Deck cards with Chase Utley between 2005 and 2007.